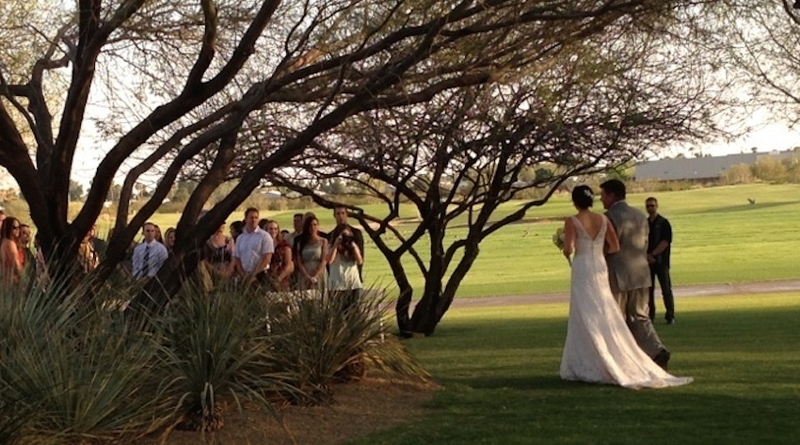 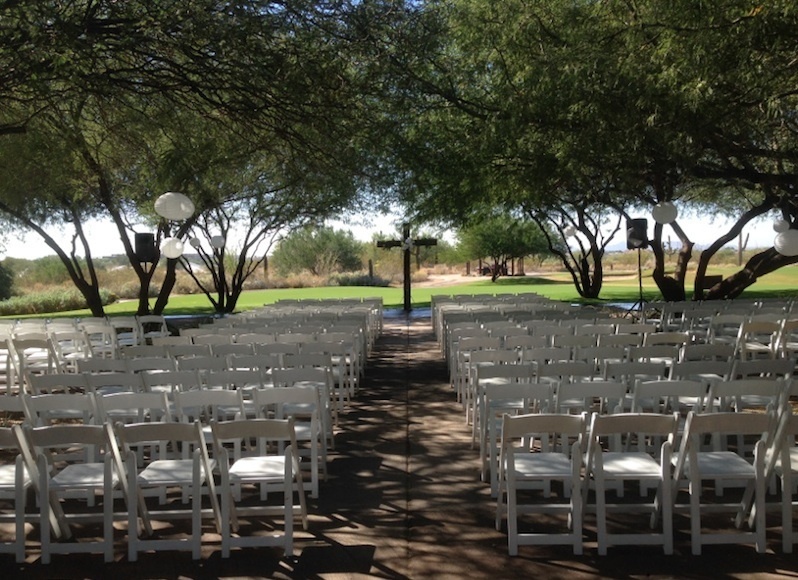 With almost 300 days of sunshine each year, why not have an outdoor wedding ceremony and reception? 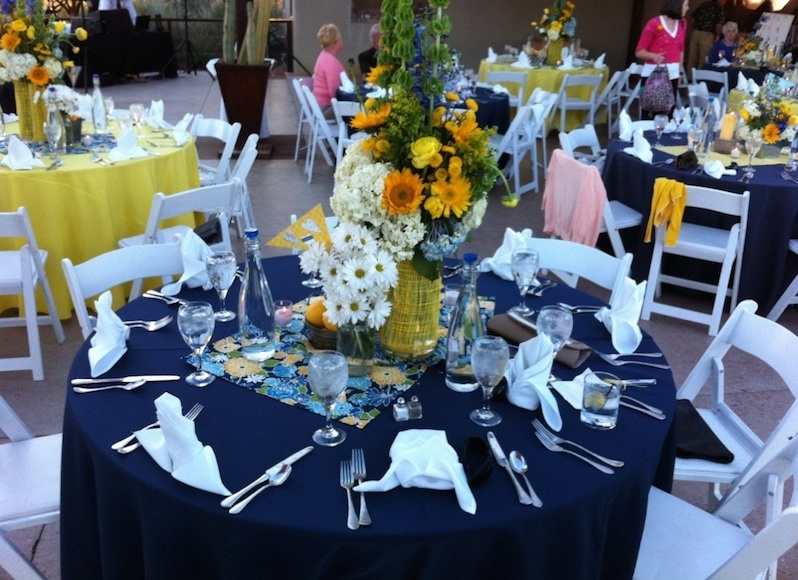 The patio at Longbow Golf Club provides expansive golf course and Red Mountain views in a modern yet rustic atmosphere. 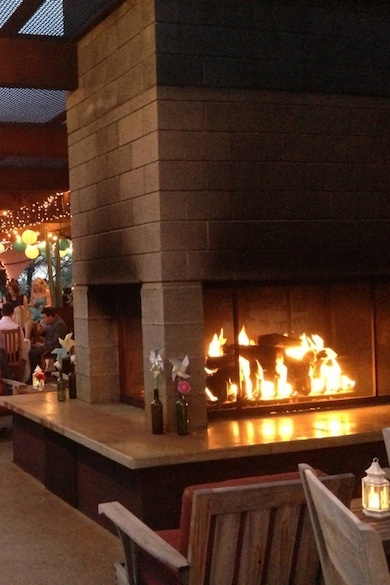 Unique architectural elements such as native stone and raw steel set a modern backdrop for photos and a large outdoor fireplace is the centerpiece of our rustic patio.